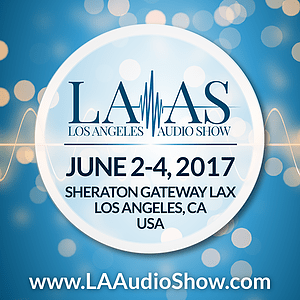 The first annual Los Angeles Audio Show (LAAS) is here and we will be exhibiting in room 203 at the Sheraton Gateway Hotel with one of our favorite dealers, The Audio Association, Southern California’s source for the finest audio equipment available. The Audio Association will be exhibiting Evolution Acoustics’ latest creation… the EXACT Series Maestoso loudspeakers driven by darTZeel’s legendary NHB-458 monoblock amplifiers and the newest generation of the NHB-18NS Preamplifier with built-in reference phonostage. Vinyl will be spinning on the most speed accurate and speed consistent turntable system available… the Wave Kinetics NVS Reference Direct Drive. It will be utilizing the newest offering from Durand Tonearms called the Kairos which will hold the Ortofon MC-Anna Reference cartridge. Record cleaning will be done by the KLAUDiO Ultrasonic Vinyl Cleaning System. If that is not enough, Analog Audio Inc., is bringing a 1/4″ 2 track reel to reel tape machine along with some of the best music (Master Tapes) you will ever hear. Vibration control and isolation will handled by the new Wave Kinetics’ A10-U8R Audio Footers and Audio Top Weights as well as the new W8- Record Weight. All signal and power cables will, of course, be Evolution Acoustics. For you digital fanatics, come hear the Talea Audio Athanor prototype DAC being served super high resolution music by the Sound Galleries 2015 music server. This is one room you will not want to miss! Blue Light Audio has started receiving the all new darTZeel NHB-18NS Reference Preamplifier with built in Reference Phono Section. 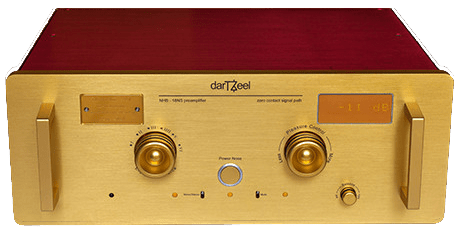 As if that is not enough, we have also received our first shipment of the amazingly musical, all-in-one, darTZeel LHC-208 Integrated Amplifier / Preamplifier / DAC. We are now taking pre-orders for Evolution Acoustics’ new flagship loudspeaker, the MMSeven.